Dan Ackerman: "Driving jokes don't translate to a New York audience." When a message pops up, the phone will alert you and let you read out the message, reply, or cancel. Voice recognition allows the GS4 to do everything for you, including responding to a message, Bidan says. 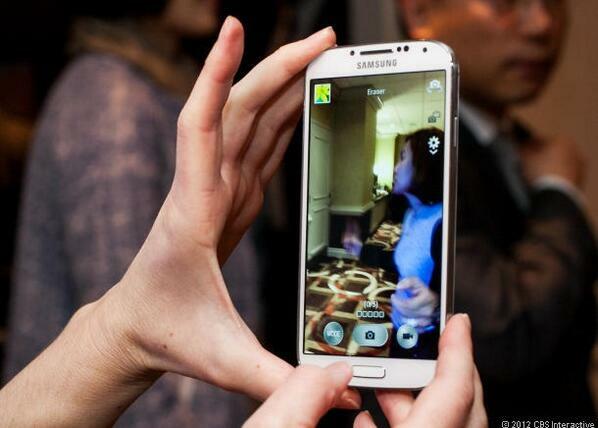 The Galaxy S4 wil act as your personal assistant, Bidan says. So, I haven't had good experiences with S Voice's accuracy. 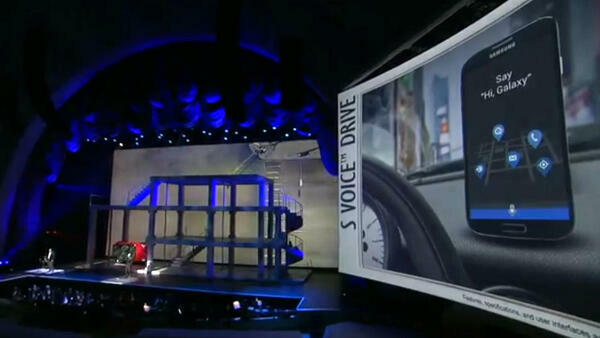 I really hope that the new S Voice Drive mode doesn't disappoint. Time to talk about the Samsung Hub. The Galaxy S4 takes all of the different hubs and integrates them into one place. The Galaxy S4 works even when you're wearing gloves. Hey, the Lumia 920 does that too! The Samsung Hub has a magazine interface that is easy to use, says the bad actress. Now for Knox. 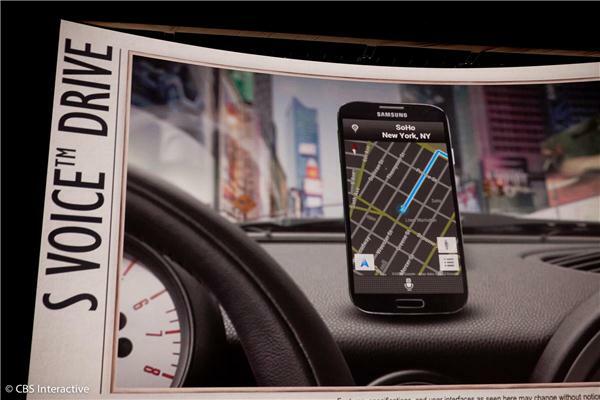 The Galaxy S4 will be the first device that will ship with Knox. 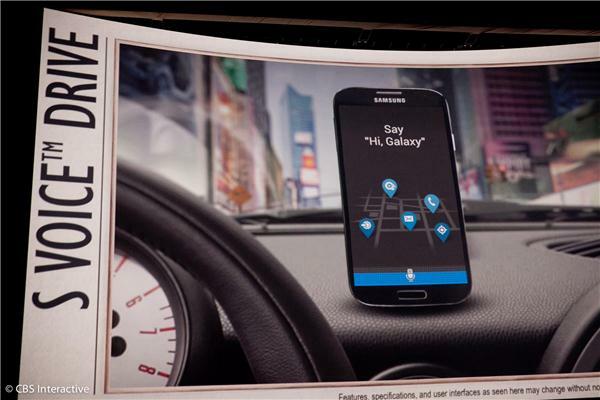 It's a suite of security services and apps, part of a program called SAFE (Samsung Approved For Enterprise). Samsung has made in a priority to target the enterprise world and take share from BlackBerry. He's quite the precocious fellow.